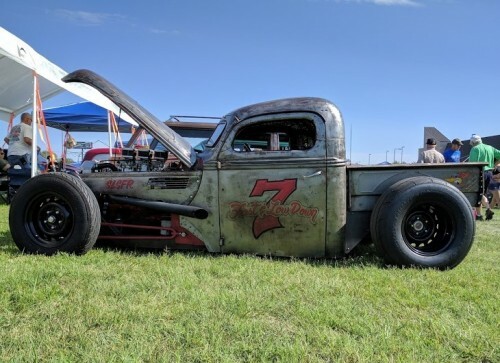 We heard countless stories from people who had installed Electric Water Pumps in their hot rods and street rods to eliminate overheating issues. Garnering the most attention throughout the event was the new LCD EWP and Fan Digital Controller, with its endless adjustment possibilities and groundbreaking “after shutdown run-on” feature that helps to avoid heat soak. So many street rod enthusiasts struggle to keep these rolling pieces of art cool on the street, but with the help of the Davies Craig EWP, Electric Fans and LCD Controller the job has become a whole lot easier. We even ran into a customer who had recently installed and EWP on his classic car. He had been encountering serious overheating issues to the point where he couldn’t even drive it. With his newly installed EWP the car was able to easily negotiate the 5 hour drive between Illinois and Kentucky. You can next see Davies Craig on US soil for the iconic SEMA event, which runs from October 31st to November 3rd, we can’t wait to see you there!